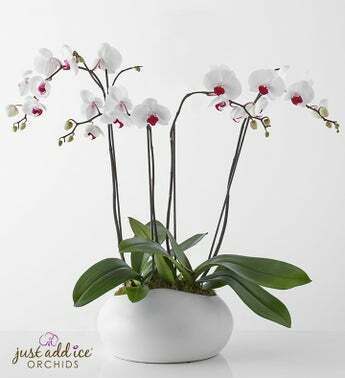 Honor a life well lived with our one-of-a-kind, elegant Phalaenopsis Orchid Garden. This serene gift brings hope and healing with its classic white blooms and lush green leaves. Set in a modern ceramic planter, this expression of sympathy makes a lasting tribute to loved ones.